Many of our clients come to the firm a complete mess. This client did not know he was not compliant and he owed over $100,000. His wife had been hiding this secret from him for nearly six years. The firm examined his payroll records. We corrected his forms and filed payroll tax forms that were accurate. The additional accuracy saved the client $60,000. This client owed back payroll taxes and back income taxes. The firm has successfully negotiated a repayment plan. The tax payer is compliant, and on a path to recovery. We consider these cases success stories because the facts and circumstances are extremely different. We had to work to protect the taxpayer's rights and attempt to achieve the goals of the taxpayer. Please contact us so that we can add your case to our success story list. What do you do if you can afford to make payments, but you cannot afford to fully repay the debt you owe a taxing agency? The IRS has implemented several programs. The Offer in Compromise program might be a solution for you, but what if the client cannot qualify for an Offer in Compromise? 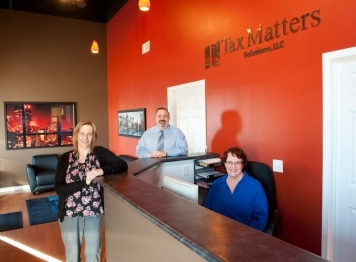 Tax Matters Solutions recently negotiated a Partial Payment Installment Agreement for a client. The client owes over a $1 million. There are about 4 years left on the Collection Statute. The client will repay $961 per month for the next 4 years. The client settled a $1 million debt for about $50,000.